Newspaper headlines dramatically declare that U.S. public schools are facing a teacher shortage of epic proportions. States respond quickly by developing and implementing new incentive and training programs to attract more teachers to the profession. According to researchers, however, the problem is much more complex than the media would have us believe, and unless the initiatives developed to address the problem take this complexity into account, at best the problem will not be addressed, and at worst, the solutions may actually exacerbate the situation (Ingersoll, 1998; National Association of State Boards of Education [NASBE], 1998). Researchers agree that climbing student enrollment, new laws requiring smaller class size, and impending retirements mean that the United States will need to attract more teachers over the next decade; however, many now disagree with initial projections, made during the 1980s and 1990s, that the country will need as many as two million new teachers. There will continue to be a shortage, these researchers say, but recent data, which allow a more accurate assessment of trends, indicate that this shortage may not be as dramatic as earlier reports predicted (Baker & Smith, 1997; Wayne, 2000). Researchers also dispute the conventional wisdom that the shortage exists because there are simply not enough qualified teachers to fill the number of vacant positions. If we consider only the number of qualified candidates and the number of job openings, there is an overall surplus of trained people (Darling-Hammond, 2001; NASBE, 1998). The shortage lies in the distribution of teachers. There are not enough teachers who are both qualified and willing to teach in urban and rural schools, particularly in those serving low-income students or students of color. There is also a shortage in certain geographic regions of the country, and there are not enough qualified individuals in particular specialties, such as special education, bilingual education, and the sciences (Bradley, 1999; NASBE, 1998). Some also argue that it is not an insufficient production of qualified teacher candidates that causes staff shortage, as conventional analyses maintain, but rather the high rates of teacher turnover (Ingersoll, 2000). Others argue that initiatives that seek to address the shortage by increasing the supply of candidates are not likely to be effective if they overlook the high turnover rate. These critics believe that if these initiatives are to be effective, they must focus more on retention and less on recruitment (Ingersoll, 2001). Why Does the Shortage Matter? The most obvious consequence of the shortage is that states, districts, and schools must invest considerable resources to attract potential candidates to fill empty positions. In addition, the shortage has important consequences for the quality of education that students receive. According to Ingersoll, principals who face difficulties in locating sufficient numbers of qualified job candidates “most commonly do three things: hire less-qualified teachers, assign teachers trained in another field or grade level to teach in the understaffed area, and make extensive use of substitute teachers” (1997, p. 42). Consequently, students are being taught by teachers who lack the knowledge and skills necessary for quality instruction. Ingersoll's research shows that almost one-third of all high school math teachers have neither a major nor a minor in math or a related discipline. Almost one-fourth of high school English teachers have neither a major nor a minor in English or a related field. Almost half of all high school students enrolled in physical science courses are taught by teachers without at least a minor in any physical science. More than half of all high school history students are taught by teachers without either a major or a minor in history (Ingersoll, 1998). As a result, “for English, math, and history, several million students a year in each discipline are taught by teachers without a major or minor in the field” (Ingersoll, 1998, p. 774). Out-of-field teaching is problematic given the effect that teacher qualifications have on student learning. According to the National Commission on Teaching and America's Future, “studies show that teacher expertise is the most important factor in student achievement” (1996, p. 6). There is also evidence that the effects of teacher quality are long-lasting and cumulative; the effects of poor-quality instruction linger and are exacerbated over time (Darling-Hammond & Ball, 1998; Haycock, 1998). Recent research has also shown that teaching quality has an even greater effect on the achievement of at-risk students (Haycock, 1998). This is particularly troubling, given that out-of-field teaching takes place with greatest frequency in high-poverty urban and rural schools, in schools serving predominately children of color, and with students who are already achieving at lowest levels—all populations that are already at risk of school failure (Fetler, 1997; Ingersoll, 1998; Olson & Jerald, 1998). Researchers have compared the teaching profession to a revolving door (U.S. Department of Education, 2000). They argue that school staffing problems are caused not so much by an insufficient supply of qualified individuals, but by “too many teachers leaving teaching” (Ingersoll, 1997, p. 2). For example, a U.S. Department of Education study of students who earned college degrees in 1992–1993 found that nearly one out of five who graduated from college in that year and began teaching in the public schools by 1994–1995 had left the profession by 1996–1997 (Boser, 2000). Other studies have shown that approximately one-fourth of all beginning teachers leave the classroom within the first four years (Hare & Heap, 2001a). Turnover is particularly pronounced in certain teaching fields, such as special education, mathematics, and science (Ingersoll, 2000). Although all types of districts report problems retaining new teachers, this problem is particularly pronounced in schools located in low-income areas (Hare & Heap, 2001b; NASBE, 1998). The turnover rate for schools located in high-poverty areas, for example, can climb as high as 50 percent (Hare & Heap, 2001a). Even more alarming than the turnover rates themselves are data suggesting that the most intelligent and effective teachers—the teachers that policymakers are most interested in retaining—leave the profession at the highest rates. In a study conducted in the Midwest, the majority of superintendents interviewed reported that from 75 to 100 percent of the teachers leaving classrooms are “highly effective” or “effective” (Hare & Heap, 2001b). Another study found that new teachers who scored in the top quartile on their college entrance exams are nearly twice as likely to leave teaching than those with lower scores (Boser, 2000). Teacher turnover is problematic for a number of reasons. First and most obvious, it forces states, districts, and schools to devote attention, time, and financial resources to initiatives designed to attract additional candidates to replace those who leave the profession. In addition, once schools and districts hire new teachers, they must expend “enormous energies developing [these] new teachers, who are likely to leave after only a few years and be replaced by yet another recruit in need of special resources and support” (NASBE, 1998, p. 7). Teacher turnover can also undermine schools' efforts to implement reforms; successful school reform requires sustained and shared commitment by school staff. Staff turnover means that new teachers, unfamiliar with and uncommitted to those reforms, must somehow be brought on board. There are direct disadvantages for student learning as well. The skills and understandings that make for quality teaching take time to acquire, and research shows that new teachers are less effective at producing student learning than more experienced teachers (Hawley, 2000). Given the high turnover rate and its negative consequences, Ingersoll argues that “teacher recruitment programs alone will not solve the staffing problems of schools if they do not also address the organizational sources of low retention” (2001, p. 501). What reasons do teachers cite for leaving their positions? Although retirement and school staffing cutbacks cause some teachers to leave, personal and family matters and job dissatisfaction are more frequently cited as reasons. According to Ingersoll (2000, 2001), 42 percent of all departees report leaving for job dissatisfaction or the desire to pursue a better job, another career, or better career opportunities. Those who report leaving because of job dissatisfaction cite low salaries, lack of support from school administration, lack of student motivation, student discipline problems, and lack of teacher influence over decision making as factors influencing their decisions. To some degree, the reasons that teachers cite for leaving vary according to their teaching context: Teachers in rural schools are more likely to leave due to social, geographic, cultural, and professional isolation than teachers in other contexts (Collins, 1999). Teachers in urban schools report being least satisfied by access to teaching resources and control over curriculum and pedagogy (Claycomb, 2000). Teachers in small private schools report that dissatisfaction with salaries and with their schools' administration lead them to leave (Collins, 1999). Particularly problematic for the retention of new teachers is the lack of support that they receive from their schools. New teachers interviewed by researchers from the Project on the Next Generation of Teachers reported that they received little guidance or encouragement from their new schools. For example, although most of the teachers had been formally assigned mentors, new faculty actually had few and limited opportunities to interact with those mentors (Johnson et al., 2001). Other research has shown that only 44 percent of teachers have participated in a formal first-year mentoring program, even though there is evidence that participation in such programs can reduce attrition rates by up to two-thirds (U.S. Department of Education, 2000). Project research also showed that new teachers suffer from a lack of guidance from their colleagues on what to teach and how to teach (Kauffman, Johnson, Kardos, Liu, & Peske, 2001). New teachers are often faced with overwhelming workloads. They are frequently assigned the most challenging students, asked to teach multiple subjects, required to teach classes for which they are not certified, and assigned responsibility for overseeing extracurricular activities (U.S. Department of Education, 2000). The current context of standards and accountability also complicates the problem of retaining new teachers and contributes to teacher turnover. As states and the federal government develop mandates related to testing and accountability, “districts are introducing new reforms and initiatives at a frenetic pace. As a result, new teachers are struggling to learn their craft in dynamic and frequently chaotic environments” (Johnson et al., 2001, p. 8). Despite the challenges that these new teachers face, according to the researchers from the Project on the Next Generation of Teachers, “neither the structures nor the cultures of their schools seemed to be geared toward their needs as novice teachers” (Johnson et al., 2001, p. 8). Teachers as a group report that they are dissatisfied by insufficient autonomy and control over teaching. According to Joel Spring, a historian of education, “In recent years the satisfaction that teachers have gained from autonomous decision making and creativity has been threatened by expanding bureaucratic structures and attempts to control teacher behavior in the classroom” (1996, p. 41). For example, there is evidence that the high-stakes environment associated with the standards and accountability movement has contributed to the decisions of experienced teachers to leave the profession (Hansel, Skinner, & Rotberg, 2001; Prince, 2002). Low salaries and lack of respect from the public also pose a challenge for teacher retention. Research shows that new teachers enter teaching primarily for its intrinsic or psychological rewards—that is, the opportunity to engage in meaningful work, the pleasure of working with children, and love of a particular subject area—rather than extrinsic rewards such as salary or public respect (Goodlad, 1984; Liu, Kardos, Kauffman, Peske, & Johnson, 2000; Lortie, 1975). However, although the extrinsic rewards may not attract people to the profession, lack of satisfaction with these rewards is frequently cited as a reason for leaving. Researchers speculate that when receipt of intrinsic rewards is thwarted (through student discipline problems, for example, or insufficient autonomy in the classroom), teachers become less willing to tolerate the low salaries and lack of public respect (Goodlad, 1984). Increasing salaries for all teachers and developing differentiated pay scales that reward expert teachers and those who take on specialized roles and responsibilities (Grissmer & Kirby, 1997; Johnson, 2000). Reward those willing to teach in high-need areas where teacher retention is problematic by giving them higher salaries than those teaching in areas and fields in which there is a glut of qualified teachers (NASBE, 1998). Creating high-quality induction programs for new teachers, requiring districts to offer these programs, and providing funding to support the programs. According to Darling-Hammond, “beginning teachers who have access to intensive mentoring by expert colleagues are much less likely to leave teaching in the early years” (2000, p. 22). She cites the example of school districts, such as those in Cincinnati, Columbus, and Toledo, Ohio, who have been able to reduce the attrition rates of new teachers by more than two-thirds by connecting new teachers with expert mentors and providing both with joint release time. Such programs not only encourage new teachers to stay in the profession, but also enable them to become competent more quickly. Darling-Hammond (2000) also recommends developing peer review systems that focus on improving the performance of new teachers and providing professional development opportunities that are targeted to the particular needs of individual teachers. Developing regulations prohibiting out-of-field teaching. 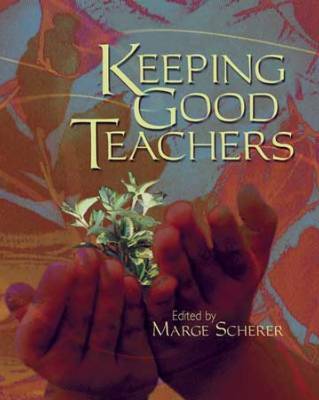 Implement practices that place experienced rather than novice teachers with the students with greatest need, provide new teachers with additional release time, and limit their extracurricular responsibilities (Goodwin, 1999). Adopting policies that include teachers in school-based decision making. Increased faculty control over school policymaking and greater teacher autonomy in the classroom are both associated with increased teacher commitment (Grant & Murray, 1999; Ingersoll, Alsalam, Quinn, & Bobbitt, 1997). Growing your own teachers. Rural and high-poverty districts and schools should encourage graduates and paraprofessionals already familiar with the culture and challenges associated with those environments to become certified (Collins, 1999). Encouraging or requiring universities to develop teacher education programs that focus on providing potential teachers with the specific skills and knowledge necessary to succeed in schools with high turnover rates (NASBE, 1998). For example, require schools of education to develop teacher education programs that focus on the challenges associated with teaching in urban schools (Claycomb, 2000). Implementing policies that support reduction of class size and increasing funding for quality resources, facilities, and materials in high-poverty schools. Teachers in such schools might be given additional preparation time, as well as access to additional professional development that focuses on the particular challenges associated with teaching in a high-poverty, urban environment (Claycomb, 2000; NASBE, 1998). The research suggests that if policymakers and education leaders do not understand the nature of the teacher shortage, the solutions that they develop will be ineffective in addressing that problem and may even create new problems in their wake. If states and districts react to news about the teacher shortage by developing programs that simply attract more candidates to the profession and quickly prepare them to enter the classroom, then they risk wasting valuable resources and undermining the quality of education that children receive; all programs must be designed to produce teachers who have the skills, knowledge, and commitment necessary to teach effectively in high-need areas. Similarly, if states and districts do not address the role that high teacher turnover plays relative to the teacher shortage, and they do not develop policies and initiatives that address the causes of high turnover in schools, then they will not effectively address the problem, and they will undermine efforts to provide all students with a quality education. Baker, D. P., & Smith, T. (1997). Teacher turnover and teacher quality: Refocusing the issue. Teachers College Record, 99(1), 29–35. Boser, U. (2000). A picture of the teacher pipeline: Baccalaureate and beyond. Education Week Quality Counts 2000, 19(18), 17. Bradley, A. (1999). States' uneven teacher supply complicates staffing of schools. Education Week, 18(26), 1, 10–11. Claycomb, C. (2000). High-quality urban school teachers: What they need to enter and to remain in hard-to-staff schools. The State Education Standard, 1(1), 17–21. Collins, T. (1999). Attracting and retaining teachers in rural areas. (ERIC Digest 99-7). Charleston, WV: ERIC Clearinghouse on Rural Education and Small Schools. Darling-Hammond, L. (2000). Solving the dilemmas of teacher supply, demand, and standards. New York: National Commission on Education and America's Future. Darling-Hammond, L. (2001). The challenge of staffing our schools. Educational Leadership, 58(8), 12–17. Darling-Hammond, L., & Ball, D. L. (1998). Teaching for high standards: What policymakers need to know and be able to do. Philadelphia, PA: National Commission on Teaching and America's Future and the Consortium for Policy Research in Education. Goodwin, B. (1999). Improving teaching quality: Issues and policies. McREL Policy Brief. Aurora, CO: Mid-continent Regional Educational Laboratory. Grant, G., & Murray, C. E. (1999). Teaching in America: The slow revolution. Cambridge, MA: Harvard University Press. Grissmer, D., & Kirby, S. N. (1997). Teacher turnover and teacher quality. Teachers College Record, 99(1), 44–57. Hansel, L., Skinner, B., & Rotberg, I. C. (2001). The changing teaching environment. Washington, DC: Institute for Education Policy Studies. Hare, D., & Heap, J. L. (2001a). Teacher recruitment and retention strategies in the Midwest: Where are they and do they work? Naperville, IL: North Central Regional Educational Laboratory. Hare, D., & Heap, J. L. (2001b). Effective teacher recruitment and retention strategies in the Midwest: Who is making use of them? Naperville, IL: North Central Regional Educational Laboratory. Ingersoll, R. (1997). Teacher turnover and teacher quality: The recurring myth of teacher shortages. Teachers College Record, 99(1), 41–44. Ingersoll, R. (1998). The problem of out-of-field teaching. Phi Delta Kappan, 79(10), 773–776. Ingersoll, R. (2000). A different approach to solving the teacher shortage problem. Policy Perspectives, 2(2), 6, 8. Ingersoll, R. (2001). Teacher turnover and teacher shortages. American Educational Research Journal, 38(3), 499–534. Ingersoll, R. M., Alsalam, N., Quinn, P., & Bobbitt, S. (1997). Teacher professionalization and teacher commitment: A multilevel analysis. Washington, DC: National Center for Education Statistics. Johnson, S. (2000). Teaching's next generation. Education Week, 19(39), 33, 48. Johnson, S. M., Birkeland, S., Kardos, S. M., Kauffman, D., Liu, E., & Peske, H. G. (2001, July/August). Retaining the next generation of teachers: The importance of school-based support. Harvard Education Letter, 6, 8. Kauffman, D., Johnson, S. M., Kardos, S. M., Liu, E., & Peske, H. G. (2001). “Lost at sea”: New teachers' experiences with curriculum and assessment. Unpublished paper. National Association of State Boards of Education (NASBE). (1998, October). The numbers game: Ensuring quantity and quality in the teaching workforce. Alexandria, VA: Author. National Commission on Teaching and America's Future. (1996). What matters most: Teaching for America's future. New York: Author. Prince, C. (2002). The challenge of attracting good teachers and principals to struggling schools. Arlington, VA: American Association of School Administrators. Spring, J. (1996). American education. New York: McGraw-Hill. U.S. Department of Education. (2000). Eliminating barriers to improving teaching. Washington, DC: Author.